At Relentless Recovery we understand having your vehicle repossessed can be a very frustrating and stressful event. It is our goal to meet your needs in a manner that reduces that stress. Please use the interface below if you're turning in a vehicle, wish to schedule the pick up of a reinstated vehicle or collect your personal items that were contained in the vehicle at time of repossession. Relentless Recovery is completely committed to conducting business in an ethical & professional manner. If you feel that we have failed to do so, you can start the complaint process here and we will begin working towards your resolution immediately. 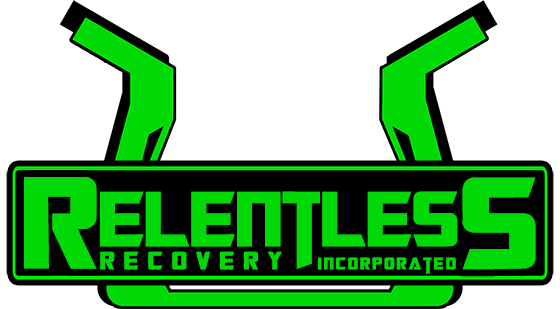 All members of Relentless' Collateral Recovery Team are highly trained specialists. They are certified in their profession and vetted by Vendor Transparency Solutions (VTS). Relentless recovers collateral within the legal boundaries set fourth by the CFPB, FDCPA and all other applicable laws & regulations. We execute in a manner that reduces liability & client exposure, and this is evident in our nearly 15 year flawless track record. "Alleviate potential client liability and exposure while maintaining exemplary recovery and resolution rates. Provide service that is infused with added value at a fair and cost effective price point." We entrust Relentless Recovery with our repossessions. The relationship with them spans a time period of six years. Relentless Recovery has provided professional service for Firelands Federal Credit Union spanning 6+ years. Through this time of service they have resolved countless accounts for us, including locating some hard-to-find skip accounts. Joe and his team have been responsive to resolve any issues that arise throughout the years. Consumer Portfolio Services, Inc. (CPS) has worked together with Relentless Recovery for several years. Over the ensuing years I have come to appreciate their competence and skill as collateral recovery experts. Consumer Portfolio Services is a lender that is required to pursue collateral recovery on a national level. Relentless Recovery has helped us to manage this huge task by providing the needed coverage and offering a hassle free transition of geographic changes as our clients relocate. Relentless Recovery handles our repossession assignments timely and effectively. They do an excellent job with vendor management and compliance, update and repossession reporting, and post recovery transportation.